Location: 639 Exchange Street Rd., Attica, N.Y.
On September 9, 1971, after learning of the death of George Jackson at San Quentin State Prison, nearly half of Attica's 2,200 inmates took control of the prison, holding 42 officers and civilians hostage. The prisoners created a list of demands, and after four days of negotiations, authorities agreed to 28 of them but refused to grant amnesty for the takeover and removal of prison superintendent Vincent Mancusi. Governor Nelson Rockefeller ordered state police to reclaim the prison, so heavily armed authorities infiltrated Attica, attacking the unarmed prisoners. When the catastrophe was over, 43 people were dead, including 10 correctional officers and civilian employees. Jackson's death wasn't the only motivation for the riot, as the prison was holding nearly twice its capacity and prisoners were subject to abysmal living conditions like limited toilet paper and a single weekly shower. Attica currently holds prisoners serving sentences ranging from short term to life. The facility typically receives prisoners who have been "problem" inmates at other facilities. 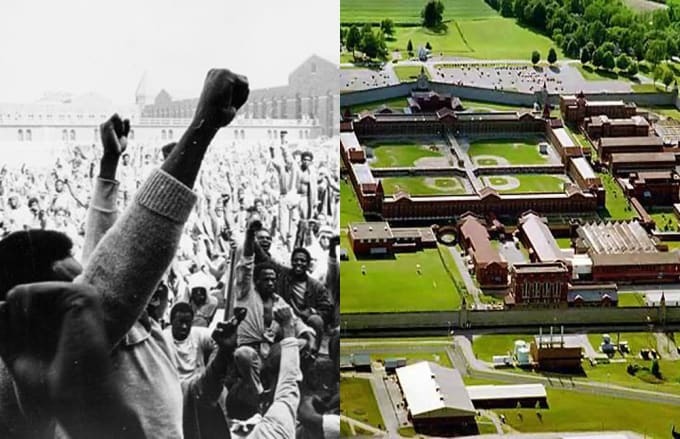 Notable Attica inmates include Black Panther member H. Rap Brown, Son of Sam killer David Berkowitz, and Mark David Chapman, who murdered John Lennon in 1980.